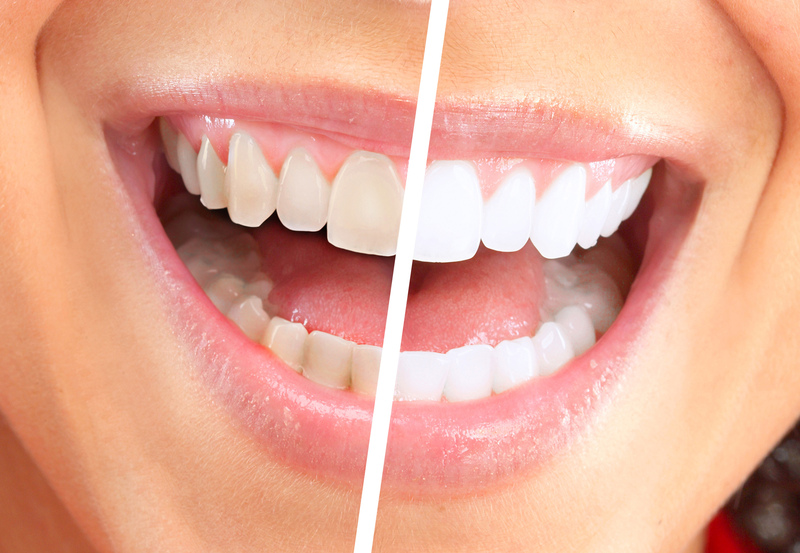 Teeth whitening has become one of the most sought-after cosmetic dental procedures. It can overturn years of accumulated stains in as little as an hour. Patients love the results of our Century City professional teeth whitening. As each teeth whitening product is made slightly differently and one may work better, depending on your teeth and the origin of dental discoloration, we encourage you to call our office to determine which method is right for you. Philips Zoom!® Whitening: Our patients often choose Zoom! if they are in need of quick results. This treatment promises a more radiant smile after a single appointment at our office. Appointments take less than an hour and patients can walk out with a smile multiple shades lighter. We recommend that our Zoom! in-office whitening patients also utilize the product's home system for touch-ups. EZ White® Pro: EZ White Pro is an in-office option designed to be fast, gentle, and effective. Using a hydrogen peroxide paste, which is activated by a heating light, stains are broken down within seconds. The whitening gel is applied in-office and the procedure can be performed within 30 minutes. Professional Grade Crest White Strips: These flexible strips coated with a peroxide-based gel are designed to fit the shape of the teeth. The gel lifts surface stains and visibly whitens teeth in the comfort of your own home. KöR® Whitening: The KöR Whitening System is one of the newer whitening kits on the market. Our patients have provided a great deal of positive feedback, are happy with the results, and love that the product does not cause sensitivity. Referred to as the “Cadillac of whitening” the KöR System is the first bleaching product to be refrigerated from the point of manufacture until being applied to patient’s teeth. Studies show that these low temperatures maintain its whitening power. KöR has proven to be highly effective in comfortably producing a natural-looking whiter smile. We are located in the Century City Medical Plaza, across the street from Beverly Hills High. If you live or work in the area and are interested in teeth whitening, call Dr. Silvera or schedule an appointment online today.